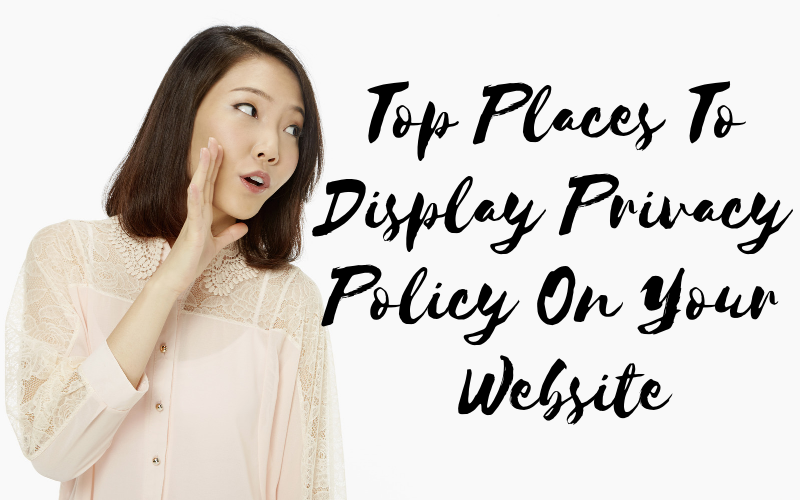 And then, making this policy noticeable on the website is crucial to ensure visitors that your business isn’t misusing their personal information, however, how you share it with the world matters as well. When you place this policy in a prominent area of the website and make it easy for visitors to read, it increases trust and credibility among users. They’ll be rest assured that you aren’t hiding anything from them and their decision would be completely unbiased. Let’s get the cat out of the bag. A majority of users find it boring and time-consuming to read policies mentioned on the website. They’d actually skip going through each and every word to understand how your company operates. Hence, when you publish it in a prominent place while following the legal practices to make it concise and simple, the chances of visitors reading and understanding the policy become higher. One common condition is that these policies should be accessible to users with ease. For your website, you can use premium WordPress plugins and come up with an informed policy for your visitors. The General Data Protection Regulation, also known as GDPR, was developed to safeguard the privacy rights of internet users of the 28 European Union countries. Moving forward, you can also display a popup message or a banner on your website that would show up as soon as somebody visits your site. You can even put an affirmation declaration confirming that the visitor has read your policy and agreed with it as well. Although several business owners reject this idea because of aesthetic appeal reasons, however, if done cleverly, you can easily create an alluring banner to enhance the overlook appearance of your website. Information that you’re collecting, including email address, name, IP address, etc. Even if you aren’t collecting or using customers’ data, you can still post a policy to be on the safe side. Make sure that you’re clear and on-point with the policy. And, be wary of the placement as well to prevent legal issues in the future. If you wish to know more, you can research your country’s laws and take the required action accordingly.